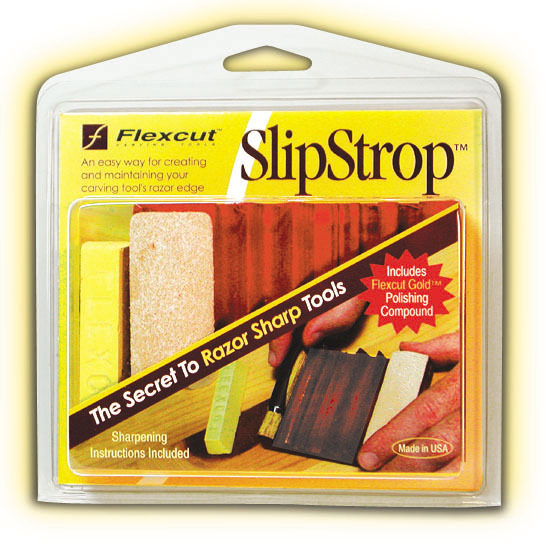 "SlipStrop" Is Specially Molded to Sharpen, Deburr and Polish Carving Tools To Keep Them Performing at Their Very Best! Carefully crafted to exacting standards by FLEXCUT Carving Tools. Made in U.S.A.
Get $5 CASH BACK on every $50 of Flexcut Products you Purchase. Click below for CASH BACK COUPON and full details. CASH BACK COUPON - Click here for details. enter "Flexcut" in Search box. other brands of Carving Tools.